Happy to be part of this great story on the historical election of Sadaf Jaffar as the first Muslim South Asian woman mayor in the U.S. Here is a selection from the story and you can check out the full piece here! “Jaffer is part of a new wave of politically active South Asian Americans in her state. As New Jersey’s South Asian American population increases, many U.S.-born young professionals from immigrant families have started campaigning ― and winning ― positions as mayors, state legislators and township council members. 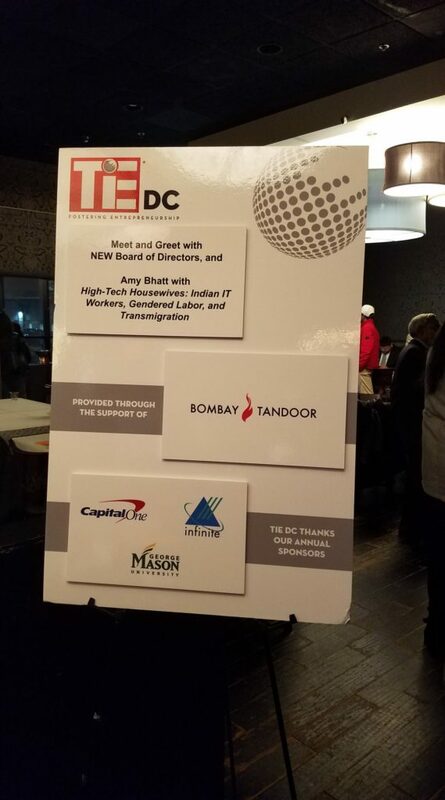 Thanks again to The Indus Entrepreneurs of Washington, DC for inviting me to speak about High Tech Housewives at their kick off event for 2019! A huge thank you to Preeti Varathan for this excellent deep dive into how immigration restrictions are hurting H-1B families on Quartz News. Check out the video link below for the full story! Check out the full recording of my talk on December 5 at UMBC! 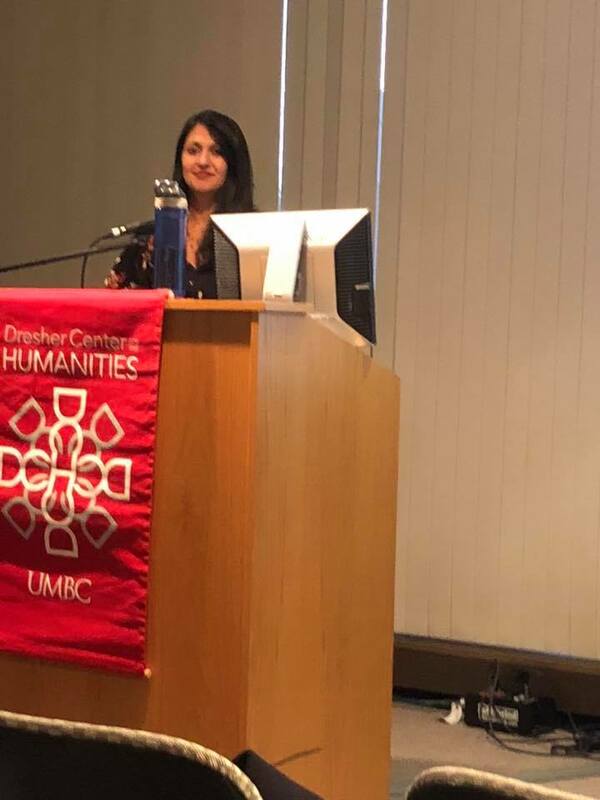 On December 5, I had the great pleasure of being part of the Dresher Center for the Humanities Fall 2018 Humanities Forum speaker series. 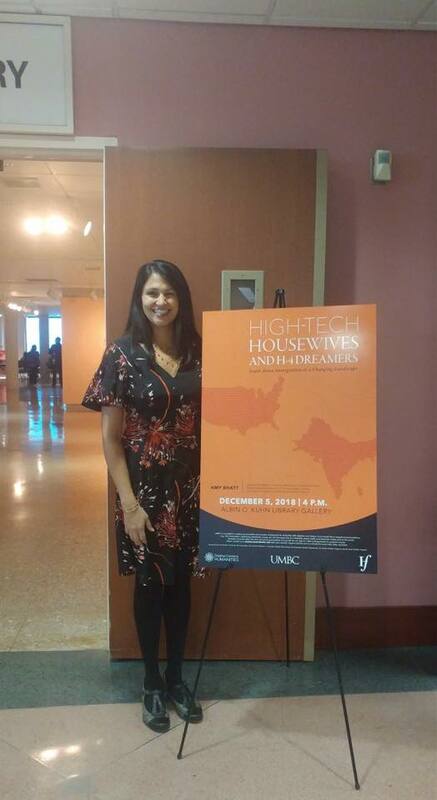 The event had a great turn out and I presented on High-Tech Housewives and my new research. Check out this write up about my upcoming book talk at UMBC! Bhatt, an associate professor of gender and women’s studies, and affiliate associate professor in the language, literacy, and culture, and Asian studies programs, has made headlines nationwide by providing research-based expertise on contemporary U.S. immigration policy. 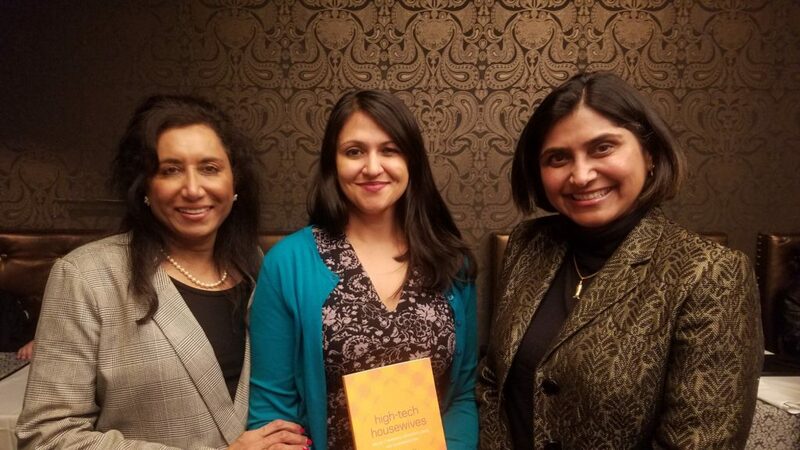 She’s bringing the conversation to UMBC through a Humanities Forum talk on her new book, High-Tech Housewives: Indian IT Workers, Gendered Labor, and Transmigration, on Wednesday, December 5, 2018, 4 – 5:30 p.m., in the Albin O. Kuhn Library Gallery. Bhatt’s work focuses on gender as an important and understudied factor at the intersection of immigration law and global economy. She notes that 85 percent of H-1B visa holders are men. 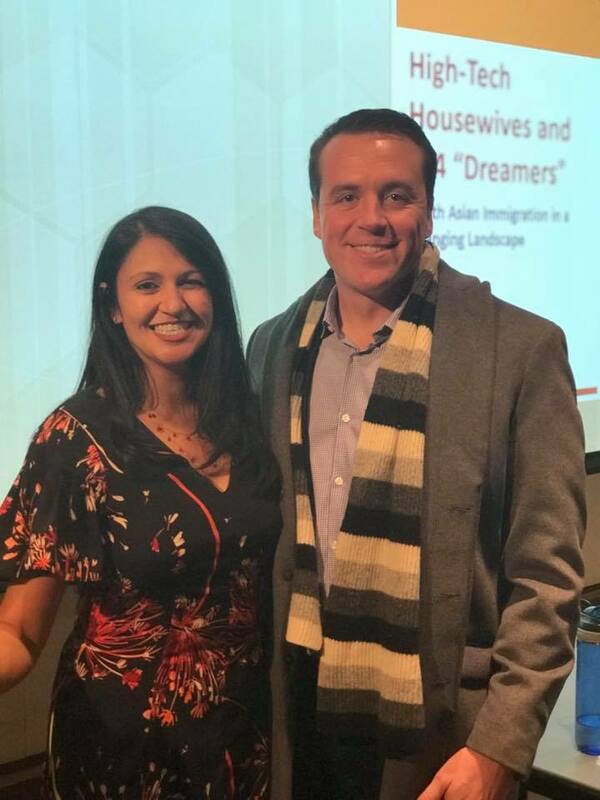 Their spouses can join them in the U.S. under the H-4 visa program, but, even if those spouses are themselves highly skilled, they are unable to apply their expertise in the paid workforce. Instead, they often become “high-tech housewives” due to the constraints of immigration law, rather than choice. 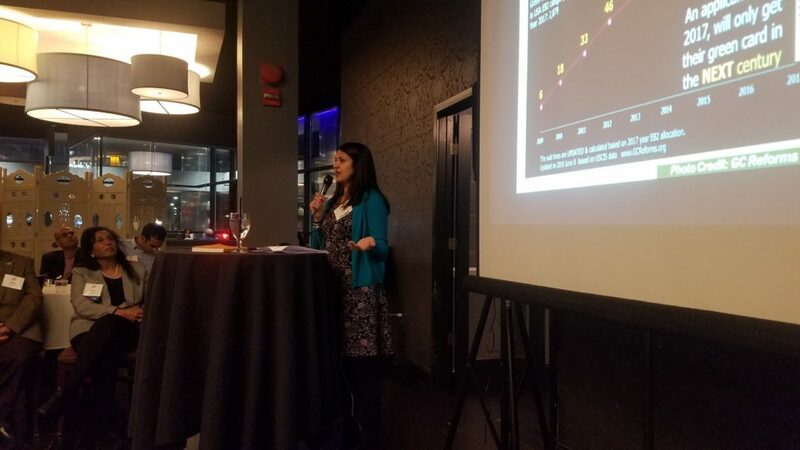 “People tend to think about H-1B visa issues as problems that only affect men,” failing to consider the often highly skilled spouses who come with them to the U.S.,” says Bhatt. 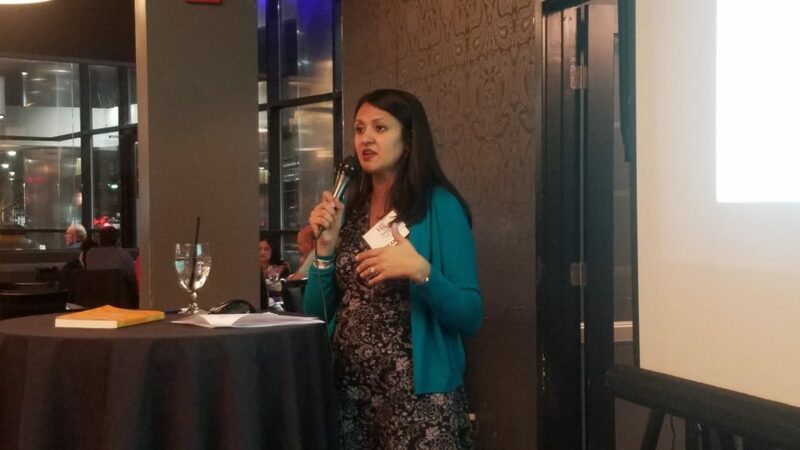 “Women’s abilities to migrate—flexibility in foregoing their own careers at times, and work to manage family demands, cultural transmission, connection to home country, and building local relationships—allow their spouses to take highly skilled jobs in the United States,” explains Bhatt. Her research explores how the current visa system not only limits the employment of highly skilled women, but also impacts their identities and day-to-day experiences in other significant ways. Whether sharing her work through academic publications or news media like the Seattle Times, Bhatt’s overall message is the same. My article for AsiaGlobal Online, a digital journal published by the Asia Global Institute (AGI) at The University of Hong Kong, was published today!